"What is text mode document?" 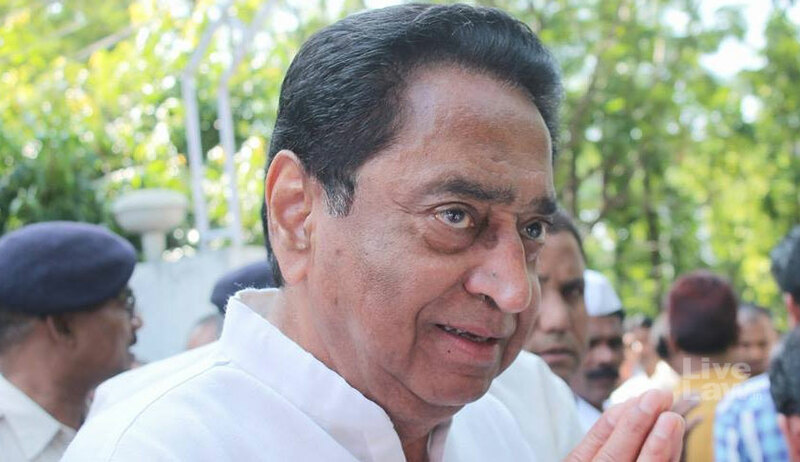 - this was the question which determined the fate of Kamal Nath's plea for directions to Election Commission of India in the impending Madhya Pradesh assembly polls. Kamal Nath demanded that ECI should furnish the soft copy of draft electoral roll in 'searchable text form'. The copies furnished by the ECI to the political parties, and also uploaded in the website were scanned images of draft electoral roll, which had no search option. It was contended that political parties should be provided voter list in text format so that they are in a position to electronically scan the same and find out whether there are any duplicate or fake voters in the voter list prepared by the ECI. Based on the word 'text mode' in the said clause, it was contended that the document should be in searchable format. The entire dispute hinged upon the meaning that is to be assigned to ‘text mode’. The Division Bench of Justice A K Sikri and Justice Ashok Bhushan found force in the submission of the ECI. "The clause nowhere says that the draft electoral roll has to be put up on the Chief Electoral Officer’s website in a ‘searchable PDF’. Therefore, the petitioner cannot claim, as a right, that the draft electoral roll should be placed on the website in a ‘searchable mode’. It has only to be in ‘text mode’ and it is so provided"
The bench also endorsed the reason cited by ECI that document was not supplied in searchable format to protect privacy of citizens. "Issues of privacy of voters are involved and the move of ECI is aimed at prevention of voter profiling and data mining", observed the bench. The other prayer in the petition was for a direction to conduct random verification of 10% of the Voter Verified Paper Audit Trail(VVPAT). However, the bench did not consider this prayer as the SC had occasion to consider similar plea last year in Prakash Joshi v Election Commission of India. There, the SC bench headed by the then CJI Dipak Misra noted the submission of ECI that guidelines were being formulated for verificaiton of VVPAT, and in that view of the matter the Court refrained from issuing any positive directions.